This family-friendly Wairakei hotel is within 1 mi (2 km) of Wairakei Natural Thermal Valley and Prawn Farm. Huka Falls is 2 mi (3.2 km) away. 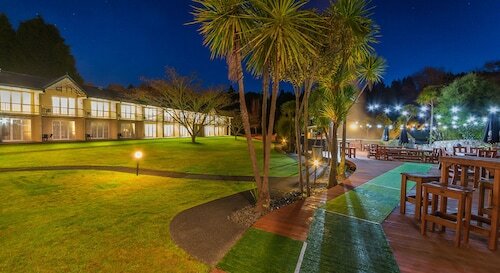 Situated near the airport, this luxury hotel is within a 15-minute walk of Taupo Hot Springs and Waipahihi Botanical Gardens. Taupo Bungy and Golf Club Taupo are also within 3 mi (5 km). 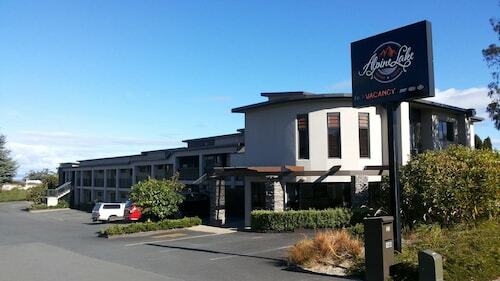 Situated near the airport, this motel is within 1 mi (2 km) of Barbary and Lake Taupo. Taupo Bungy and Taupo Hot Springs are also within 2 mi (3 km). Situated in Taupo, this apartment building is within 1 mi (2 km) of Taupo i-SITE Visitor Information Centre and Lake Taupo. Taupo Museum and Art Gallery and Taupo Bungy are also within 1 mi (2 km). Thinking of a trip to Wairakei? Wotif has you covered. When work gets boring, check out the 27 hotel alternatives, all within a 10-kilometre radius of all the action. Wairakei isn't exactly the hotel capital of the world. It is, however, home to the Wairakei Resort Taupo, which is just 3-kilometre from the city centre. The Hilton Lake Taupo is 12 kilometres from the central part of Wairakei. Or, alternatively, the Lake Taupo TOP 10 Holiday Resort is 8 kilometres away. The Millennium Resort Manuels, as well as the Taupo Debretts Spa Resort, are some other accommodation options worth looking into in Wairakei. If you've got the time, why not spread your wings and enjoy the other attractions dotted around Waikato? Check out the old towns in Waikato, or admire its beaches, coastal plains, forests and rivers. Or spend some time mountain biking while you are here. 11 kilometres to the south of Wairakei is Taupo, where travellers can enjoy the Huka Falls. 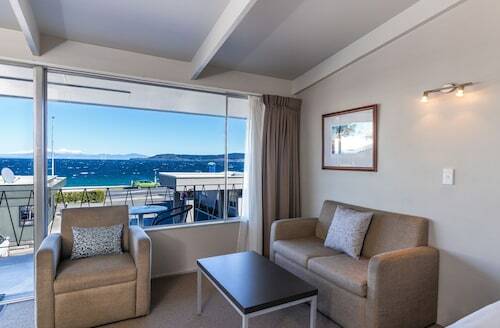 Taupo hotels include the Oasis Beach Resort and Karaka Tree Motel. Alternatively, you can visit Acacia Bay, 15 kilometres to the southwest of Wairakei. While in Acacia Bay, take the time to check out the Barbary. 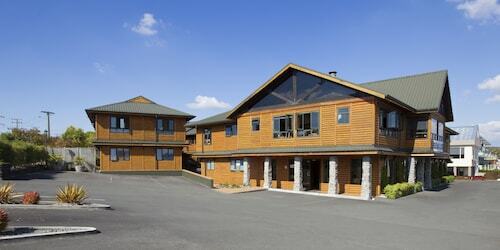 Room options in Acacia Bay include the Whakaipo Lodge and Tauhara Sunrise Lodge. If you are transiting into or out of Taupo Airport and choose to stay nearby, try the Hilton Lake Taupo or the Millennium Resort Manuels. How Much is a Hotel Room in Wairakei? 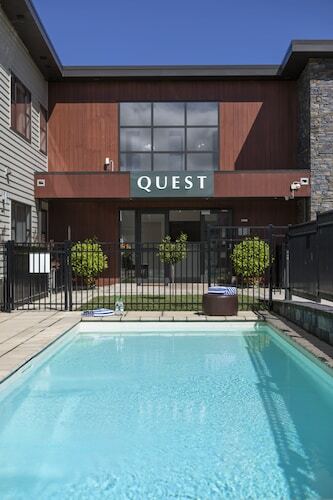 Hotels in Wairakei start at NZ$96 per night. Prices and availability subject to change. Additional terms may apply.